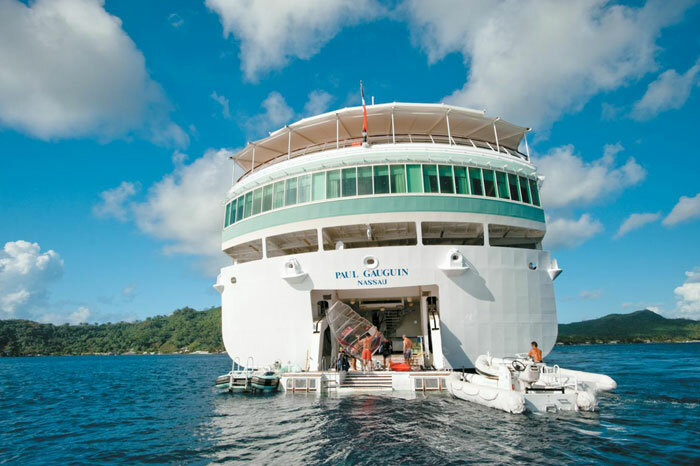 Paul Gauguin Cruises has started a two-week sale which includes destinations most people would dream of cruising to. The luxury cruise line begins its two-week sale where cruisers wanting to sail to some of the most exotic destinations in the world can save money and benefit. The limited time sale started today for select 2017 and 2018 cruises to Tahiti, French Polynesia, and South Pacific. Those who book between August 7 and 19 can save up to $3,650 per person on select voyages. This epic promotion includes round trip airfare from Los Angeles to Papeete, Tahiti. There will also be plenty of all-inclusive perks onboard to make it all worth while. February 3, 17, 2018 – now from only ($4,845 $4,045 per person). March 31, 2018 – now from only ($5,595 $4,595 per person). December 2, 2017 – now from only ($5,895 $4,845 per person). January 6, 2018 – now from only ($6,145 $5,045 per person). December 13, 2017 – now from only ($5,545 $4,595 per person). January 17, 2018 – now from only ($5,845 $4,845 per person). March 7, 2018 – now from only ($6,045 $4,995 per person). It’s not just about the breathtaking destinations but also the luxury cruise ship and service. Known as “The Gauguin”, the flagship is 19,200 gross tons and can carry 332 guests. The vessel has more than 70% balcony cabins and program to enrich the guest experience when ashore.